MS SQL Server firewall by DataSunrise filters the network traffic according to the configured rules set. Dangerous requests are blocked. The MsSQL firewall protects enterprise sensitive data from multiple threats. It prevents hacker attacks, SQL injections, and other security breaches. Controls user privileges to exclude the data loss by company insiders. MS SQL Server firewall by DataSunrise is an enterprise-class security solution designed for the protection of critical data on-premises and in the cloud. It ensures the highest possible level of data security through providing complete visibility of database and user activity. Database security has never been easier or more reliable. MS SQL Server Firewall by DataSunrise continuously monitors database activity and detects vulnerabilities that can be exploited by hackers and insiders. This includes database administrators, who also pose a potential threat to database security. Proxy mode deployment places the MsSQL firewall between database and clients. The firewall acts as an intermediary and prevents direct communication between client and server. It audits and logs the traffic and blocks execution of queries violating MsSQL firewall’s security policies. Due to the support of Kerberos, LDAP authentication protocol, DataSunrise MsSQL firewall can be used as an authentication proxy for mapping database clients and maintain a secure connection. Intelligent SQL-analysis algorithms enable to detect and block unauthorized access attempts and attacks on a database in real time. Once security rules are properly configured, the most time consuming routine security operations will be automated. In a case of any suspicious activity in MS SQL Server databases, the firewall notifies specified subscribers via SNMP or SMTP. There is an ability to configure automation generation of reports for compliance purposes. 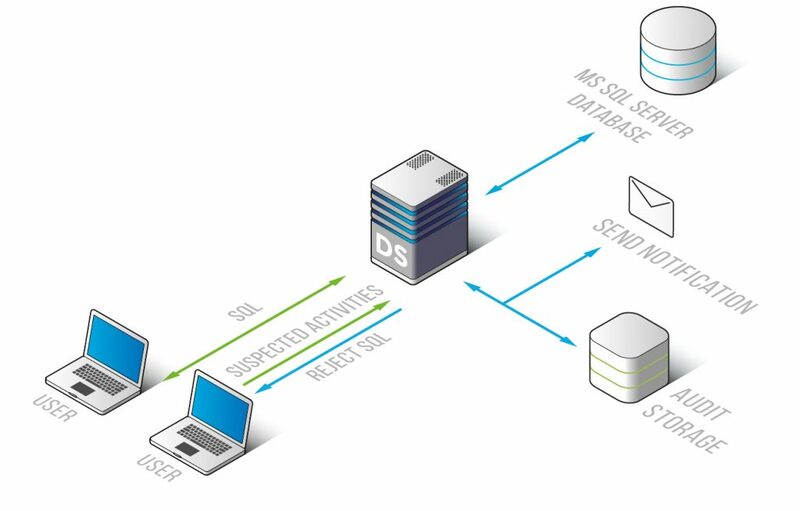 MsSQL firewall logs on a great variety of DML and DDL transactions can be stored in internal/external databases or sent to a SIEM solution for further analyzing. Blocking mechanisms of the MsSQL firewall enable capturing of SQL injections in real time. 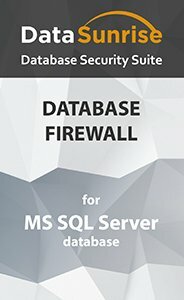 Currently, MS SQL Server Firewall by DataSunrise blocks the following SQL injection techniques: out of band, time delay, boolean exploitation, union exploitation, automated exploitation. Present-day hacking methods forces organizations to implement additional security tools. DataSunrise presents a database firewall for MS SQL Server security, which protects databases from unauthorized access and SQL injections. DataSunrise Database Firewall supports the latest MS SQL Server Database versions: 2005, 2012, 2014, 2016, V12 (Azure). It runs on Unix, Linux, and Windows.